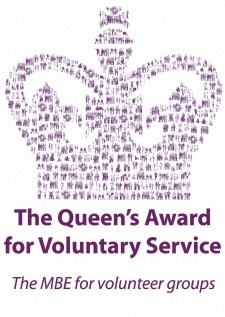 The Solihull Hebrew Congregation Thursday Club run by Rabbi Yehuda & Dinie Pink has been awarded the Queens Award for Voluntary Service, the MBE for groups of volunteers who work in their local community for the benefit of others. 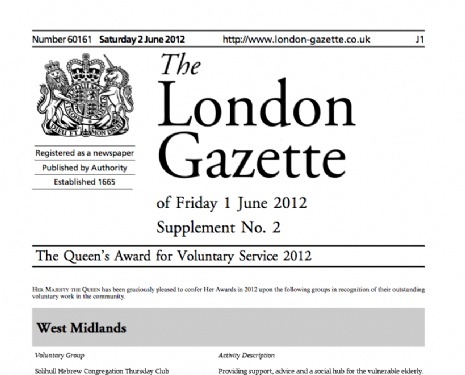 This prestigious annual UK National Honour recognises outstanding voluntary contributions by groups of volunteers who regularly devote their time to helping others in the community, improving the quality of life and opportunity for others and sets the national benchmark for excellence in volunteering, with the work of those awarded being judged to be of the highest standard. The Solihull Thursday Club received the Award in recognition of the excellence of the work and dedication that its volunteers give in helping to provide support and a social hub to senior citizens in Solihull and the surrounding area. The Club will receive a certificate personally signed by The Queen and an exclusive commemorative crystal, presented by Her Majesty's representative in the West Midlands at a special ceremony arranged by the Lieutenancy office. 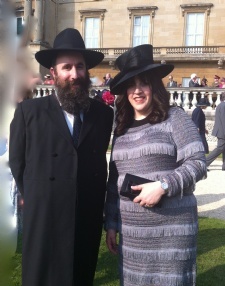 In further recognition of their work Rabbi & Rebbetzin Pink were invited along with two representatives of the Thursday Club to the first of the three Garden Parties that the Queen holds annually at Buckingham Palace. Rabbi Pink is the Rov of the Solihull Hebrew Congregation in the West Midlands of the UK. 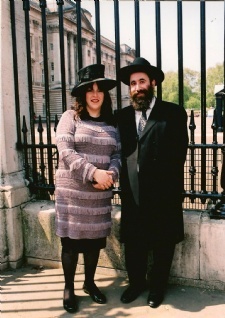 Rabbi & Rebbetzen Pink have been Shluchim in Solihull for almost 19 years. During this time the community has more than doubled in size and the Solihull Jewish Community Centre has developed into a vibrant base for a whole host of activities catering to all ages.